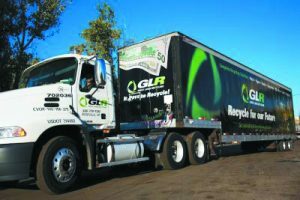 A Scrappy Company: GLR Advanced Recycling changes with the times. Many of Detroit’s Jewish families share a similar story of humble beginnings in America. Someone arrived with nothing, maybe just the change in his pocket, worked hard, fell in love, had kids and laid the foundation for the success of the next generation. The story is perhaps a cliche, but it was the common struggle for so many fleeing immigrants to thrive or even just survive in the land of opportunity. But as the details are lost in the gloss of retelling a good story, it’s almost easy to forget just how hard it was for a Jew to make it in America at the turn of the 20th century. Henry Rosen certainly didn’t have it easy. A Russian immigrant, he served in the czar’s army before fleeing Russia in 1905. At 26 years old, without a penny to his name, he found himself working in the newspaper delivery business in St. Louis before moving to Detroit in 1927. Henry started collecting paper, cardboard and rags to sell to recyclers. His first office was a small building downtown without any plumbing. The business grew. Men with pushcarts would collect scrap metal in the alleys around industrial buildings and sell what they found to Henry. At 17, his son Ben joined the business. Ben would drive a truck route around the city, picking up cardboard boxes and rags they’d bail up and sell to paper mills. By the 1940s, the company moved from Detroit to Roseville and their growth continued. Today, GLR Advanced Recycling operates nine locations and joint ventures in Michigan and New York on properties from three to 20 acres. The company employs 150 people and recycles more than 100 million pounds of metal, paper and plastic and more than 12,000 cars every year. Annual revenues exceed $75 million. “Jews couldn’t find much work, so they got in where they could. 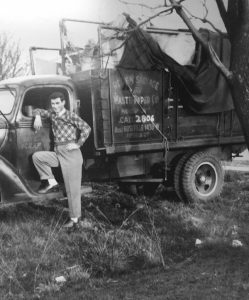 Some went into the clothing business or retail, but many collected scrap because it was easy to get a hold of and easy to sell,” explains Henry’s grandson Sandy. The 52-year-old Bloomfield Hills resident and his partners — sister Ilene Rosen Bischer and Michael Bassirpour — are among the Jewish business owners who remain an important, if not predominant, part of the industry’s present and future.That growth is truly astonishing, considering Henry’s start in the scrap business was forged out of necessity, not opportunity. At 92, Henry’s son Ben remains a partner and finds ways to help steer the ship — coming into the office during the summer to carry on the legacy his father left behind. Today, the company not only has buildings with plumbing but is also finding dynamic ways to respond to a changing world. “The economy has turned around, but our industry is still fighting back its own recession,” Bassirpour says. The 34-year-old grew up in West Bloomfield but moved to Chicago for a job in 2006 after graduating from Michigan State University. Eventually, the entrepreneur found his way home before eventually joining Rosen’s family business. But even with an uptick in American manufacturing, the scrap industry has struggled. 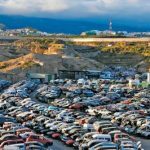 One shift was a focus on purchasing scrap cars, which Bassirpour says helped keep his company afloat when hundreds of scrap businesses across the country were otherwise consolidated or shuttered altogether. Today, GLR Advanced Recycling also owns www.thescrappost.com — a website that is creating a global marketplace to list and purchase scrap. 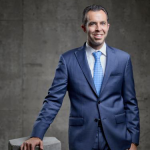 Bassirpour describes the site as a “Craigslist for the scrap industry.” Peter Karmanos and his private equity firm recently purchased a 50 percent interest in the website. “If you’re not working hard and not coming up with new angles and new ways to work smarter than your competition, you can’t afford the house you just built or to take care of your kids. That’s true no matter what industry you’re in,” Bassirpour explains. He and his, wife, Gillian, have a 13-month-old daughter, Hannah Rae. The young family he’s working to support recently moved to Bloomfield Hills and joined Temple Beth El. Today the company’s main office is in Livonia, with metal yards in Roseville, Ann Arbor, Port Huron and Flint. It operates a paper, plastic and cardboard division in Northville and an electronic recycling facility in Oak Park. “We’re building a successful company because of the people we have. We’re all obsessed with finding better ways to do business and this is an old-school, handshake sort of business. That will never change, but we can always be a step ahead of the curve — or at least we can try,” Bassirpour says. Things have certainly changed since Henry Rosen found his way to Detroit and into the scrap business — a pioneer in what is today a $120 billion industry.